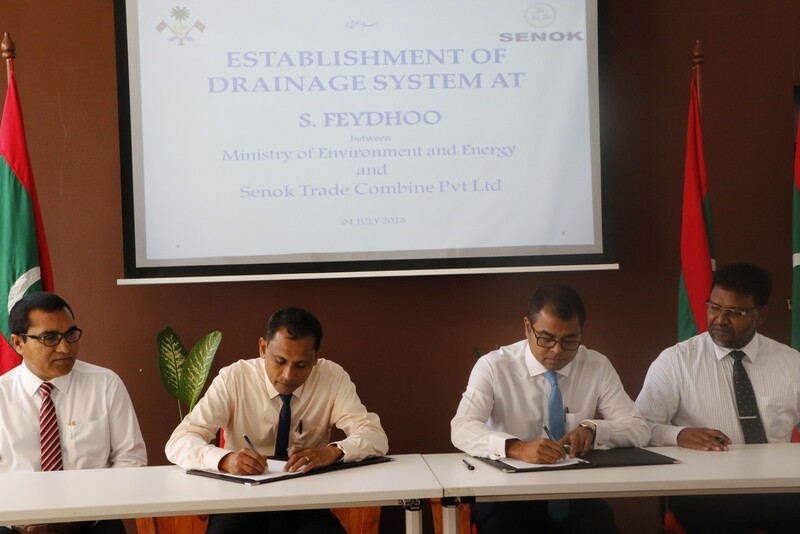 Contract signed with Senok Trade Combine Private Limited for the establishment of Drainage System at S. Feydhoo. 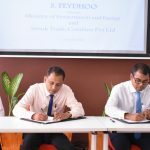 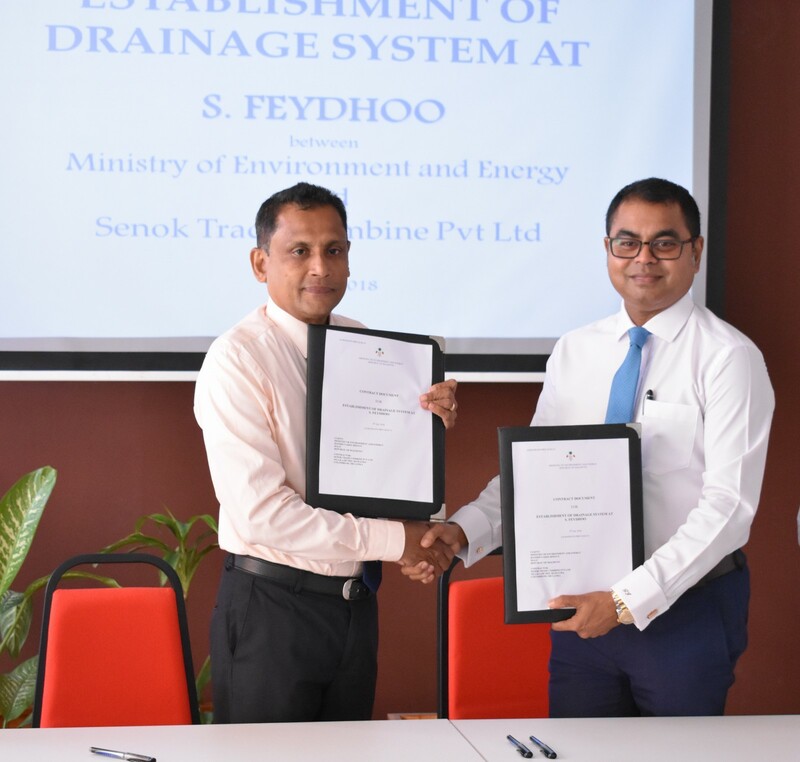 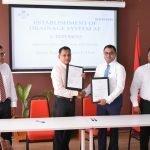 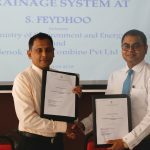 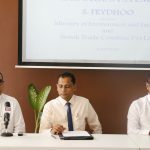 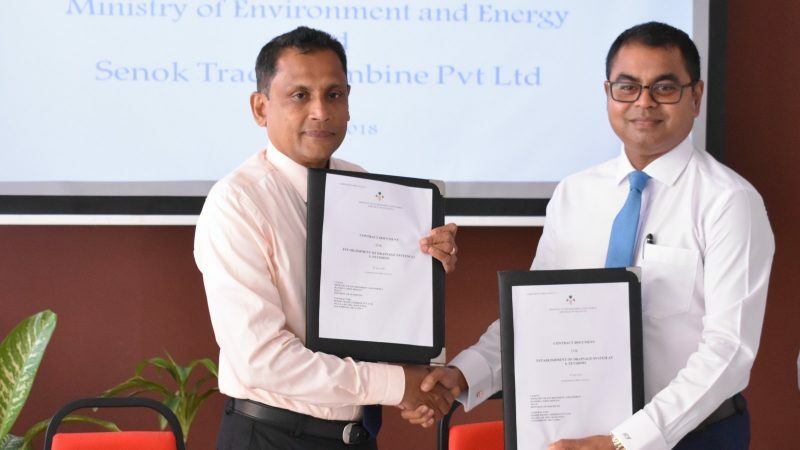 Honorable Minister of Environment and Energy, Mr.Thoriq Ibrahim signed the contract on behalf of the Ministry while the Accountant of Senok Trade Combine Private Limited, Mr. Prabath Ruwanpura signed the contract on behalf of the contractor party. 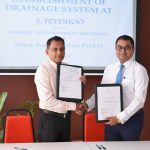 The purpose of this project is to improve storm water drainage in the island. 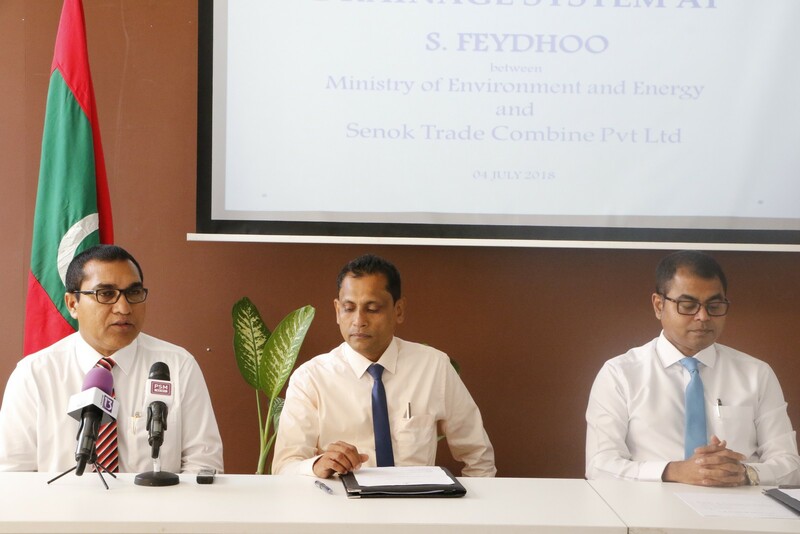 The proposed cost by the contractor for this project is MVR 18,595,276.34 (Eighteen Million Five Hundred and Ninety Five Thousand Two Hundred and Seventy Six Rufiya and Thirty Four Laari). 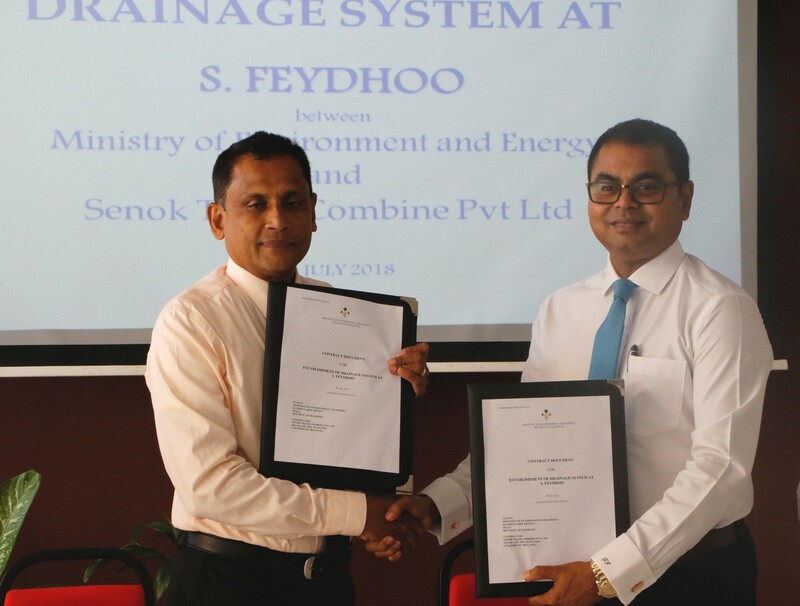 This project is funded by Public Sector Investment Program (PSIP) budget of Government of Maldives. 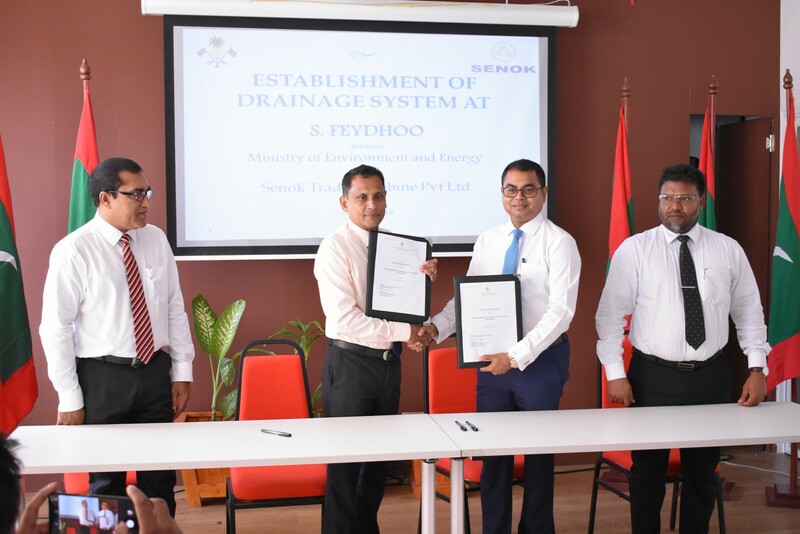 Speaking at the ceremony, Minister Honorable Thoriq Ibrahim emphasized on the importance of establishing a drainage system in the island. 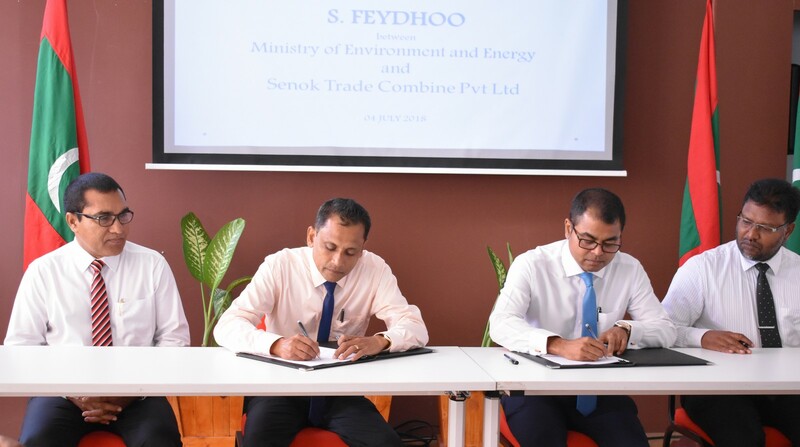 Member of Parliament for S. Feydhoo Constituency, Mr. Ibrahim Didi also participated in this ceremony.